Attorney Robert A. Clifford was interviewed recently on how his Chicago-based law firm gives back to the community through supporting local organizations. “Our firm cares about Chicago’s well being and believes it’s important to be involved within our local community, making an impact in a positive and meaningful way,” said Robert A. Clifford. In a recent interview conducted by Clifford Law Offices, Robert A. Clifford spoke about the Chicago-based law firm’s involvement within the Illinois community. Clifford, who is the Principal Partner and Founder of Clifford Law Offices, shared that lawyers of his firm help raise money for cancer and fund mental health initiatives. They also raise money for at risk and under privileged children through the support that they give to pediatric care and vision care programs. Clifford Law Offices supports numerous community involvement initiatives that resonate with the team. Attorneys at Clifford Law provide gifts to low-income children during the holidays, are strong supporters of the Chicago Police Memorial Foundation, and spearheaded an Illinois victim’s group which is dedicated to helping the injured fight anti-consumer legislation – just to name a few. In the videotaped interview, Robert A. Clifford discusses Clifford Law Office’s involvement in conducting free annual symposiums on law professionalism and ethics. “This year, we had over 3,000 lawyers registered for this free seminar with guest professors, judges and regulators from the professional Attorney Registration & Disciplinary Commission (ARDC)”, shared Clifford. These annual events have always been complimentary and are a way that the firm can promote education and professional growth to lawyers. 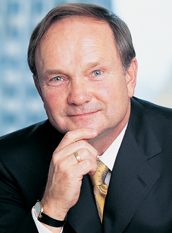 To learn more about Clifford Law’s community involvement, visit: http://goo.gl/Epq9ri. To watch the full interview with Robert A. Clifford, visit: http://goo.gl/R1m26s. Chicago Law FirmRobert A. Clifford founded a Chicago personal injury law firm in his name in 1984. For decades, Clifford Law’s staff of Chicago personal injury lawyers has worked to establish its national reputation. Clifford Law OfficesClifford Law Offices is ranked one of the top Chicago law firms, serving clients nationally and internationally with 22 personal injury attorneys.